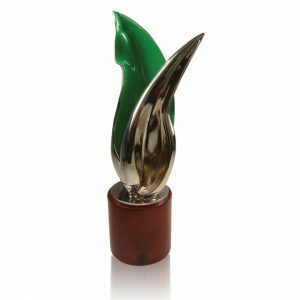 The Communitas Awards are an international effort to recognize the spirit of communitas – people helping people. 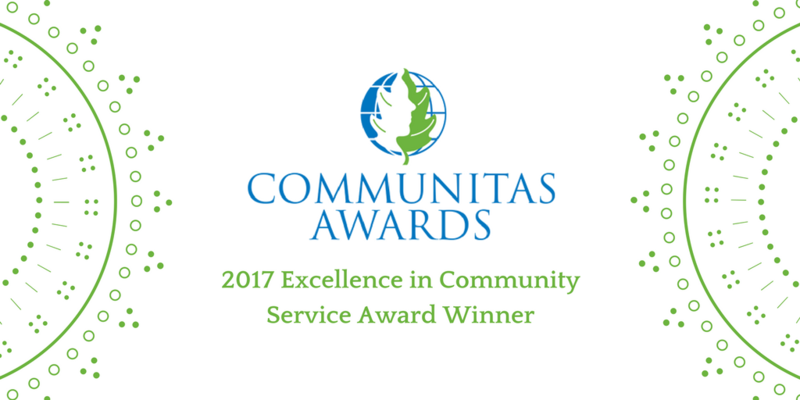 Communitas Awards began in 2010 as an outgrowth of the pro bono recognition program of the Association of Marketing Communication Professionals, a several-thousand-member group that honors creative achievement and fosters partnerships with charities and community organizations. Rebuilding Together Howard County (RTHC) is a locally based affiliate of the national Rebuilding Together nonprofit that provides vital home repairs to those who cannot afford them. This demographic can include those with disabilities, the elderly, veterans, or families with children. Kirk Couser, CEO of NextLOGiK, was first introduced to RTHC in 2013, while participating in the annual Leadership in Howard County program. At the time, RTHC was struggling to get new homeowner applications and was in need of more donations and corporate sponsors to keep their organization alive. When paired up with RTHC as a part of the leadership program, Couser led a team in devising a plan that would transform RTHC into the well-known, flourishing nonprofit that he knew it could be. The final proposal revolved around the need for a stronger online presence, one that would include a more powerful voice on social media, a new website, and online applications for easier access. Unfortunately, though the plan was well-thought out, RTHC’s budget simply could not cover its costs. The plan was almost discarded until Couser stepped up and offered to manage and fund the development of a new website for RTHC, as well as provide full-time social media marketing. Kirk joined RTHC’s Board of Directors and his team helped the organization to grow into the widely impactful, established nonprofit that they had hoped to be. Thanks to NextLOGiK’s work, RTHC’s social media presence grew on both Twitter, going from 0 to 400 followers, and Facebook, with 45 likes reaching 1400 over the course of NextLOGiK and RTHC’s collaboration. The organization was able to expand under the guidance of Kirk and his team, taking on two new employees and allowing the organization to rely less on the all-volunteer board and delegate tasks amongst themselves. Since the launch of the new website, the number of homeowner applications received and the amount of corporate sponsorships received have both doubled. Most notably, the biggest change made was RTHC’s decision to go from making home repairs once a year in April, to providing home repairs year-round to those in need. With NextLOGiK’s help and advice, RTHC has been able to make a name for themselves within the community of Howard County as a vital resource for low-income families, the elderly, veterans, and families. 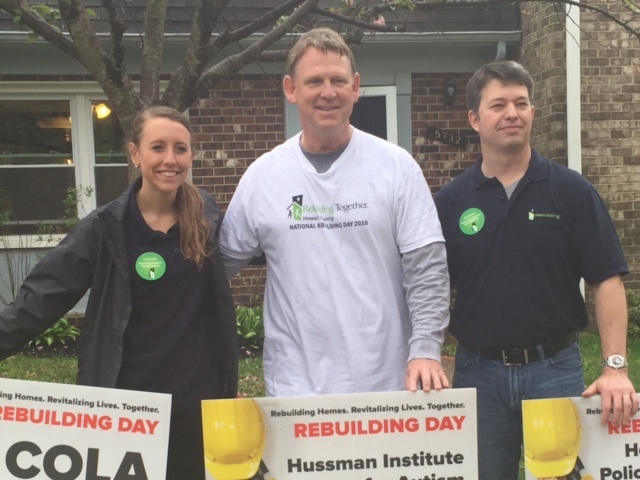 Helen Little (NextLOGiK), County Executive Allan Kittleman (Howard County) and Kirk Couser (NextLOGiK) at Rebuilding Together Howard County’s annual Rebuilding Day.